The Cronulla Sharks have claimed their maiden Jersey Flegg Premiership with a 22-12 victory over the Penrith Panthers at Leichhardt Oval on Sunday afternoon. It wasn't until the latter stages of the contest where Cronulla broke the stone-wall defence of the Panthers - the side who built their 2018 campaign on strong defensive efforts as they boasted the best in the competition throughout the regular season. 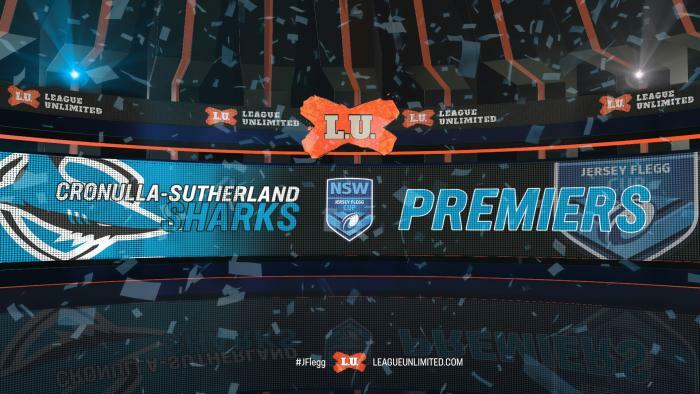 With the scores locked at 12-all with just under 20 minutes remaining, the Sharks potent attack proved to be the difference in the end with tries to Bronson Xerri and halfback Braydon Trindall icing a historic win. It was a hard-fought opening stanza with both sides enjoying some valuable field position, but a dynamic 50m from Panthers fullback Dane Laurie gave his side a short wave of momentum, but they were unable to capitalise as the Sharks defence held strong. Just moments later, a one-on-one strip from Jayden Millard on Laurie put Cronulla straight onto the attack before they opened the scoring through Harrison Smith after he pounced on a late offload. But the Panthers would ensure their lead was short-lived after a carbon-copy run from Laurie on a kick return gave his side a golden chance, and the live-wire fullback finished off what he started when he crashed over just a few tackles later..
Brendan Hands converted from adjacent to the uprights to set a 6-all scoreline after 20 minutes. The Panthers continued to flex their muscles in defence with some resilient efforts on their goal-line holding out an array of Sharks attacking raids, but they eventually cracked after Isaac LumeLume produced a ridiculous finish in the left-hand corner after a classy backline movement. Braydon Trindall nailed the sideline conversion to take a 12-6 lead into half-time. Panthers enjoyed a blistering start in the second-half with an early try to John Trimboli; the back-rower barging his way over from close-range before Hands converted to draw the game level in the 40th minute. After a tug-of-war period followed with both sides unable to break the deadlock, it was Xerri who eventually gave his side the lead after he was on the receiving end of a brilliant short-ball from fullback Luke Polselli. And the live-wire No.1 continued to threaten with the ball in the closing stages with a strong break through the middle-third, and they eventually reaped the rewards when Trindall sliced through off a lethal right-foot step for the match-winning try. This report by Andre Cupido originally appeared at NSWRL.com.au.